Hmm ... I just got a press release from Toyota telling journalists what is going to be in the company's booth at the SEMA Show. 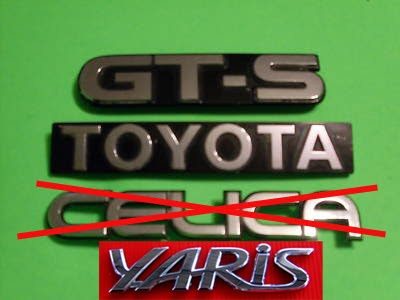 Among the eight vehicles will be the "Toyota Yaris GT-S Club Racer." Hmm ... I wonder what this will be? Whatever it is, it'll likely be much cooler than last year's SEMA Hard Kandy Yaris. However the terms "GT-S" and "Club Racer" definitely have some promise. Maybe it'll be similar to a Vitz One Cup race car ... maybe they've shoehorned a 1.8 or a 2.4 liter engine into one! Stay tuned. Well thank you "Anonymous!" This also lead me to some more info, which I'll post up today.